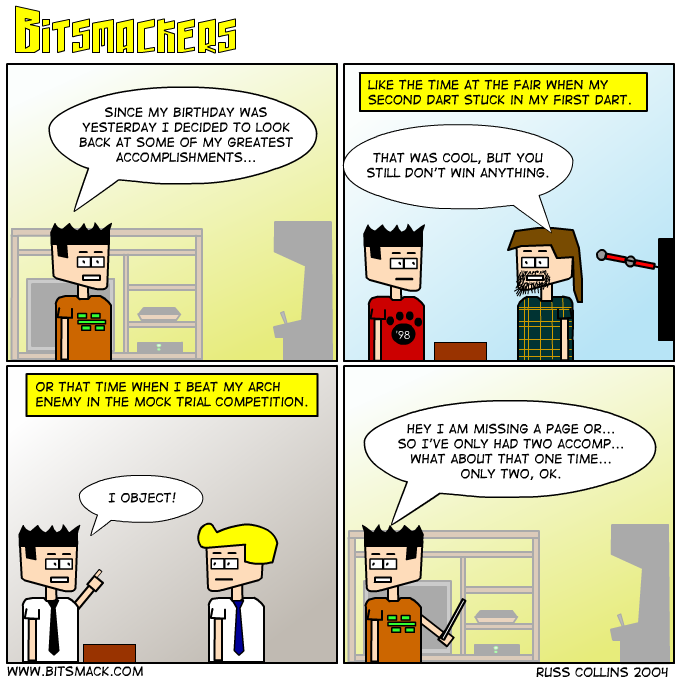 Yesterday was <a href=http://www.bitsmack.com/modules.php?op=modload&name=Comics&file=index&action=comic&id=428>my birthday.</a> Can we move on now? I felt the need to buy something so I picked up Sonic Mega Collection Plus for the XBOX. It has all the Sonic games good and bad, except for Sonic CD. I really don’t need to have my Genesis hooked up at all now because Sonic 2 was the only thing I played on it. So lately I have been playing Super Mario 64 DS and Sonic the Hedgehog. I’m just buying games I already have, but for newer systems. This is a strange trend that I’ll discuss more on Thursday.